It was a simple idea – find and read business books and have great discussions. I saw several examples of this before I tried it out. 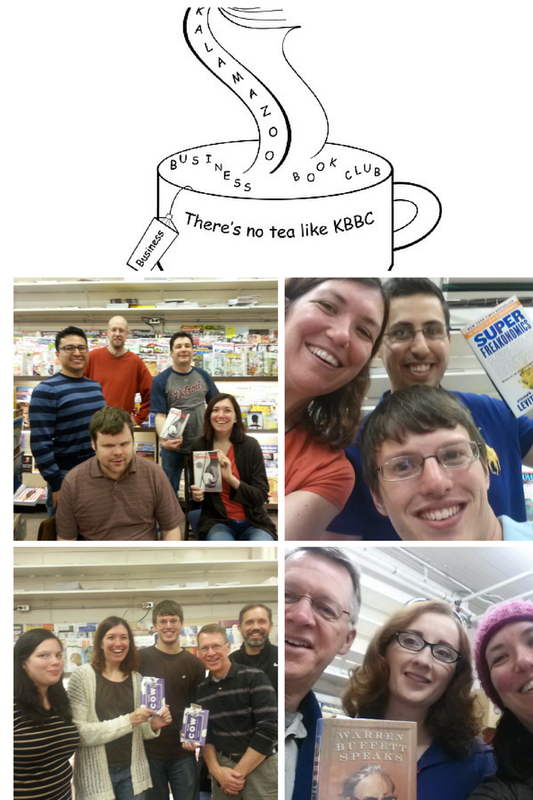 The first was an MBA Book Club in Grand Rapids. That book club was my personal confirmation to enter the MBA program at Western Michigan University around 10 years ago. The other examples were some of the MBA classes. The first class was “Readings in Marketing” where the “discussion” was writing about 10 books from a specific list. For the 11th essay, the requirement was to summarize all of them in relation to each other and include my experience. I not only learned a lot, it was fast. I read all of those books within six weeks during a summer session. The second class was nicknamed “Innovation.” Part of the criteria included reading a book about creativity. We could choose from a list of suggested books, or get approved for a different choice. Everyone in the class was responsible for presenting the highlights of the chosen books orally and in a written report. Since there were 24 students, we learned about 24 different books and only took the time to read one on our own, all within a three month semester. Another part of the Innovation class was an idea journal. Ever since I first attended the MBA book club in Grand Rapids, I had wanted the same for Kalamazoo, except that I wanted it to be for anyone in the community. It was an entry in the journal and, following a discussion with my professor, it became a real meetup event at the end of the semester for the community of Kalamazoo. One year after the meetup began, I added this blog site. The blog gave a way to make it more worldwide, while archiving the discussions and books. The posts vary between what we read as a group and what I read on my own. Sometimes, there are guest bloggers. Now that we are only meeting online, I invite you to comment on any of the book blog posts or join the online community here.